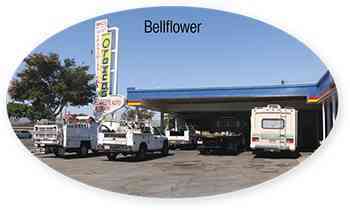 Power Steering Repair – In modern cars, parking is a breeze – even if you’re stopped, you can easily turn your steering wheel lock to lock with one hand as long as your car is running. This wasn’t always the case. Decades before, turning your wheels at low speeds required an all out effort from your arm muscles. We have the invention of power steering to thank for today’s convenience. 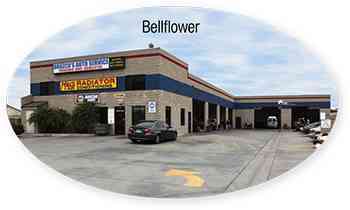 But like anything else on your car, your power steering system can wear out and begin to fail. When this happens, you may notice that it is harder to turn your steering wheel, especially at low speeds when there is more friction between your tires and the road. 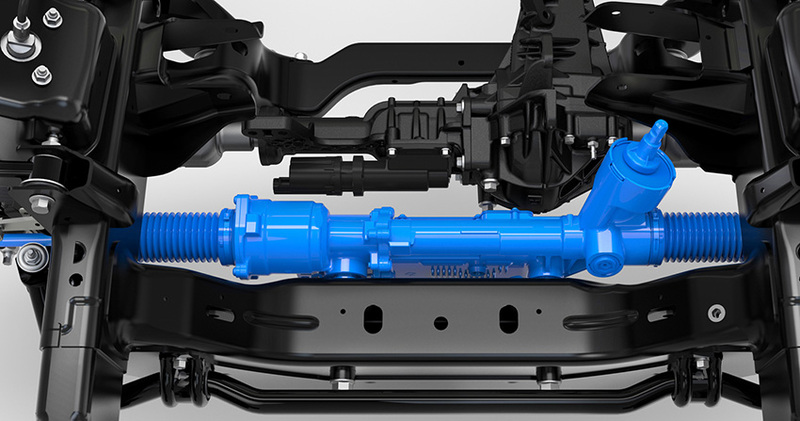 The most common hydraulic power steering systems are made up of several components, including the power steering pump, fluid, belts, hoses, and steering gears – usually a rack and pinion. The steering gear connects your steering wheel to your car’s suspension, and when you turn the steering wheel, the pump sends fluid to the steering gear to create extra pressure, helping you turn the wheels easily. The most common way that power steering systems begin to fail is by developing leaks in the pump or hoses that hold the fluid. When the fluid begins to leak out, there is less pressure, and it will be harder to turn your wheels. Usually, if you notice difficulty in turning, you should also be able to notice power steering fluid leaking and pooling underneath your car. Sometimes, even before the wheel gets harder to turn, your power steering pump will start making a loud whining or groaning noise, caused by fluid or air escaping through a leak. 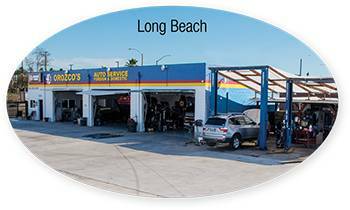 Here at Orozco’s Auto Service in Long Beach, we can diagnose and repair any of your power steering system problems. 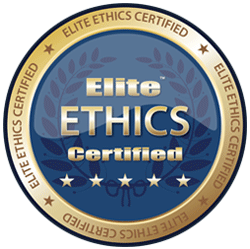 Whether you need a leak fixed, your power steering pump rebuilt or replaced, or any other components taken care of, our ASE certified mechanics can help you out. As part of our thoroughness and attention to detail, we will inspect your entire power steering system when making repairs, so that you’re not back in the shop a week later from another leak. We’ll inform you what the problem is, whether it’s just one leak or several, and help you decide the best course of action to take. We also make sure to use the right power steering fluid for your car to avoid any potential problems, as well as using high performance cleaning fluid to purge your system of any deposits or contamination that could wear it out faster. Even if you don’t notice any problems right now, it might be a good idea to get your power steering fluid changed – this can prolong the life of your power steering system and postpone a more expensive, troublesome power steering pump replacement. You can refer to your owner’s manual for your manufacturer’s recommendation if you’re not sure how often to get your power steering fluid changed. Although it is possible to drive a car without power steering, we wouldn’t recommend it – not only is it harder on your arm muscles, especially during low speed maneuvers or parking, but it can be unsafe. If you’re driving down the road and an obstacle suddenly appears in front of you, the assistance of power steering can make the split second difference between being able to swerve around it and hitting it. 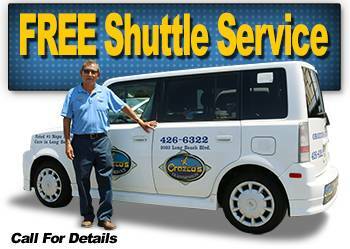 If you are experiencing any problems with your power steering system, give us a call today and we’ll be happy to set up an appointment. 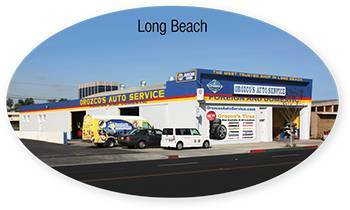 Orozco’s is Long Beach’s number one auto service shop!